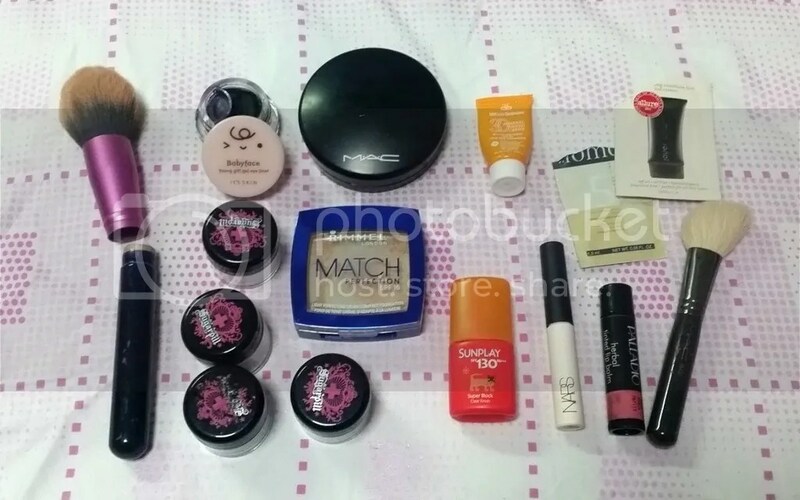 And I’m back with Part 2 of the Beauty Empties for November 2015! Seriously, empties posts are the most time consuming posts of all – but also the most fulfilling, because I get to see what I’ve worked through and think about the things that I have enjoyed or hated, and of course, the act of throwing all the empty bottles out! Let’s see what we have in Part 2! From what I know, 13rushes is a local brand. However, as much as I want to support local, honestly I’m not impressed with 13rushes’ brushes at all; within a year, about 2 or 3 of them have broken. I know it can be temporarily fixed with super glue, but I don’t like doing that and I shouldn’t have to do that within a year. The brush hair is quite soft for synthetic material and doesn’t shed, but they’re not very cheap for the quality. It looks untouched in the picture but that’s because it dried out on me before I had the chance to use it much. Won’t repurchase; this was a big let down because it dried out in just a couple of months of opening. 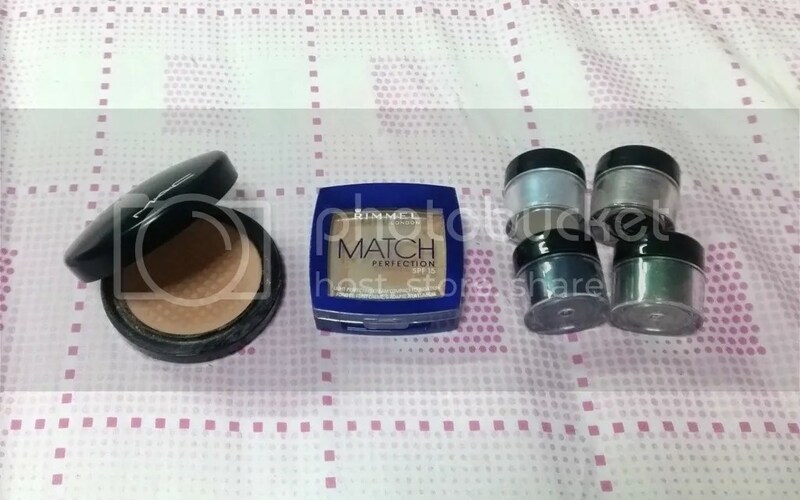 This has 2 shades – a purchase and a black; the black applied quite smoothly and dark initially, but the purple side has always been crap and dry. My trusty face powder; I try to always have one of these at all times in my arsenal of powders. This has never let me down. I love using this if I have to take photographs because it never leaves a powdery look, and it also looks really good in person. Highly recommended! One of those things that I randomly threw into my ASOS cart because it was so cheap and I wanted to hit the minimum amount for free delivery. It’s good for days when I am feeling incredibly dry because it feels comfortable then, but when I’m in my more normal state, this tends to be very oily and heavy feeling. This is also pretty unpredictable; sometimes I can get it to blend flawlessly, but there are times that it just sits on top of my skin. Sugarpill has one of the most shimmery, shiny, sparkly loose eyeshadows that I’ve tried, but they are also much harder to use as compared to MAC’s loose pigments. I love them though when I have the time to properly prime my eyelids with primer and a stickier base for the very light powder to stick to. I didn’t finish all four pots – it’s insanely difficult to use up loose eyeshadow so I’ve been selling off samples and before I knew it they were all gone! These two, I have no impression of whatsoever. I vaguely remember bringing the tinted creme on a beach vacation, but don’t recall using it – although I must have since it is empty! This is really pretty! My skin looks really luminous, fresh and natural with this; it’s light but provides enough coverage not to have to layer powder on. I rarely get impressed after just one use but I have to say I really was with this. I’m tempted to get the full size, but I do have a drawer full of foundation so maybe this will have to wait. I think the SPF130 is really ridiculous, but other than that, I really like this sun block; it’s a very runny white liquid, but it dries down clear and very quickly. There’s no sticky feeling at all, and is so lightweight that I don’t feel like there’s anything on at all. I also adore the tiny bottle – it’s super small but takes quite long to use up. I’ve tried a lot of eyeshadow bases, as I always use an eyeshadow base no matter what eyeshadows I am using, and this I really loved. I think it’s slightly better than the Urban Decay Primer Potion; it’s slightly ‘runnier’ in texture so it applies more smoothly than UDPP, but it somehow keeps the eyeshadows in place and looking good for longer. I got this a few years ago on vacation in the US – so this is really old! It’s so old that the oils are ‘leaking’ out of the tube and making the label look oil-stained. I remembered liking it when I first got it – it gives a nice wash of colours on the lips and feels very comfortable – but I guess new things caught my eye and this was left forgotten at the back of my drawers. Can’t remember where I got this but I guess it must be part of a Holiday set from years ago. This is really very old; it’s not broken but it’s so old that the brush hairs are stained permanently, and feeling really very scratchy and dry. It’s time for this to go. Okay, so I didn’t quite use up as many items in November as planned, but the December bucket is already filling up swiftly as I speak so I’m expecting much better progress on the empties in December! If you’re wondering about the ‘buckets’ that I mentioned, there are literally 2 physical buckets that I keep in my room to keep the empties! Call me crazy but I feel a sense of happiness when I see the buckets filling up! Did you use up anything in November?